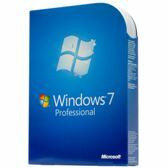 There is more to Windows 7 than the common user thinks. Downloading a new OS (Operating System) can be an exciting prospect for most. However most users also tend to jump right in and work all of their applications as soon as they manage to get the OS onto their systems. In other words, they do not bother fine tuning it. If they did they could enjoy working the OS at its maximum potential. Unwanted programs that pop up on your desktop can be a pain as you turn your system on. But did you know that Windows 7 can actually let you speed it up? It contains options that let you change the button default to do other actions. All you have to do is right-click the Start menu and click on Properties. You will see a Power Button Action drop down. Click on it to view the various default button options available. The Customize menu has a smorgasbord of options to streamline your actions as well. This way you can also change what your Start menu displays as you turn your system on. There might be many that are already turned off. You can turn them on for your convenience. Other than that, make sure that the Start Menu items are set to Display Link if you prefer opening Jump Lists. One of the newer options that feature in Windows 7 allows users to display recorded video files. This is convenient for the power user on the go. An OS stored in a flash drive makes for a convenient boot disk for emergency installs. It is a pain to download an OS into netbooks or computers that do not contain an optical drive. Needless to say an OS in a tiny flash drive would come in pretty handy. The install time would also be cut in half. Microsoft included this diagnostic tool in order to add to their development of the Windows 7 Beta version. When activated this tool meshes screen captures along with mouse tracking in order to record a user’s actions. You can activate the program by typing psr.exe in the search box. After that, hit the Record button. The Applet will then record your every keystroke and click that it will display via screenshots. An HTML slideshow exhibits your steps as soon as you stop recording. A user also has the liberty to add comments or annotations to his/her recording. The perks of such a feature are obvious. It gives you a way to construct tutorials. Users can see an improvement in the Font Manager in Windows 7. There is no Add Fonts dialog this time. In fact the Font folder comes with a whole new range of functionalities. For one, fonts from a single set show up as a single family. They were displayed as different fonts in previous Operating Systems. Secondly the OS lets users toggle the font in the On or Off position by right clicking the icon and clicking on “Hide”. This option retains the file in the Font folder while preventing the system from loading the font and thereby saving memory. Besides working as an IT specialist, Chris specializes in creating software reviews. Besides that he also informs users on how they can make the most of their OS via Windows troubleshooting tips. He also contributes to a website (http://www.dailydeals4you.com/) that offers antivirus software and coupons. A user can get a Kaspersky coupon or Bitdefender coupon from the website as well.